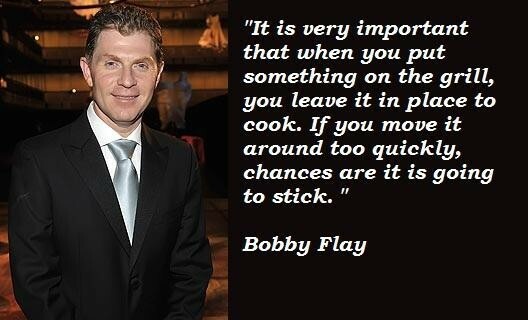 See the gallery for quotes by Bobby Flay. You can to use those 8 images of quotes as a desktop wallpapers. The process and the great smells it produces make everyone hungry and get everyone's mouth watering. And it gives men a chance to cook. When I go to a restaurant, I eat three-quarters of the food in front of me. That cuts my calorie intake by 25 percent. Habaneros have a great fruity flavor, but the challenge is that you have to deflect the heat in order to taste the flavor. If you don't, you're dead. They should really have a warning sign on them. Deflect the habanero's heat by pairing it with sweet food. A molcajete is a stone mortar and pestle from Mexico. They're great for grinding spices and making salsa and guacamole because they give everything a nice coarse and rustic feel. I've never collected anything, but I think I might start collecting these because each one is decorated differently. Basically, there are two things we know: Everybody has less time, and the general public is demanding better food - better in terms of quality and better in terms of flavor. Chipotles to me are a one-of-a-kind pepper because they're smoked jalapenos, so they're fiery and they're smoky. It's good to use chipotles in salsas or soups or condiments - that works really well. To me, they always really pick up anything you put them in. Everybody says, 'I have problems overcooking steak on the grill,' but just take it off earlier! 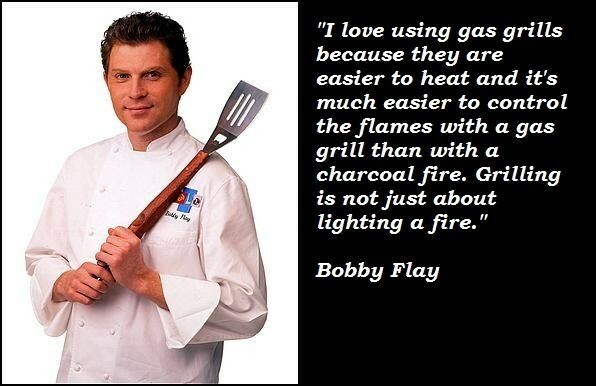 Grilling is really common sense. It's very simple. 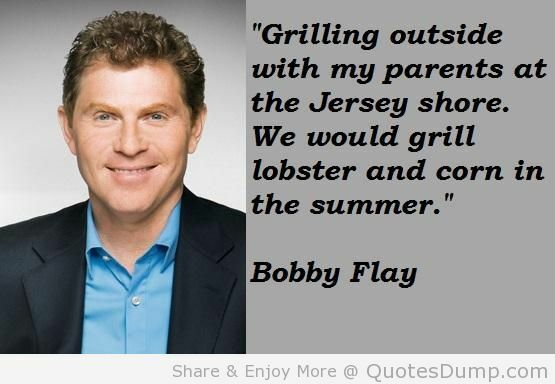 You should think of a grill as a burner - it just happens to have grates. You shouldn't be intimidated by it. 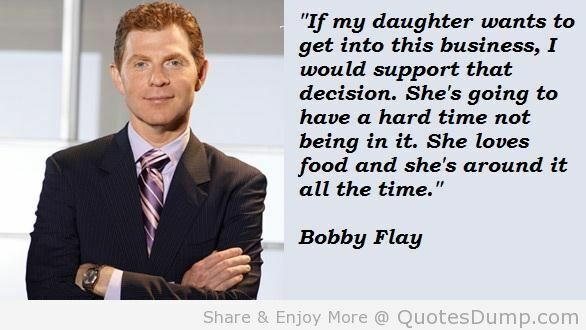 If my daughter wants to get into this business, I would support that decision. She's going to have a hard time not being in it. She loves food and she's around it all the time. 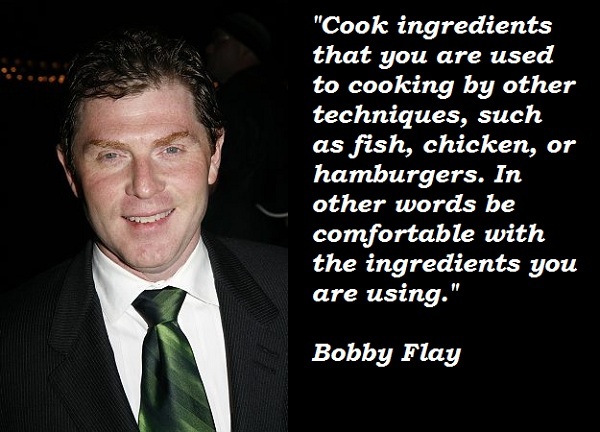 Much more quotes by Bobby Flay below the page. Most of the time, I grill over high heat. I like things to move fast. I like the sound and smell of a very hot fire. I gravitate towards dishes that you can get on and off the grill as quickly as possible. After a while, you'll know without thinking about it how hot the fire is. Nobody believed the 'Food Network' could last. 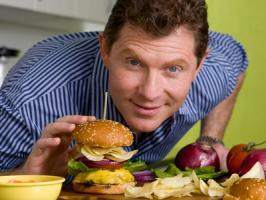 Even I was short sighted and thought to myself, 24 hours of food on TV? They'll run out of things to talk about in four days! But that wasn't true. 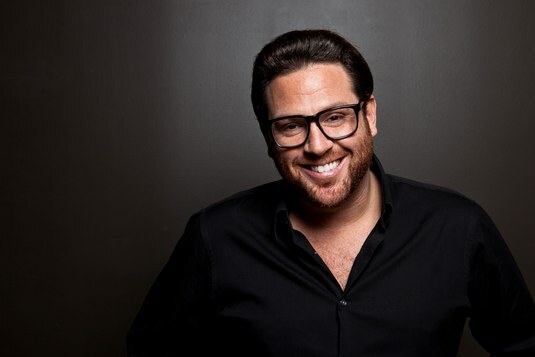 'Food Network' continues to get better and evolve. Obviously, the easiest recipes are the most successful when it comes to the home cook, because they're not intimidated by them. If I'm doing 'Boy Meets Grill,' and I do something very simple like grilled hamburgers or steaks or chicken, those are the most sought-after recipes. The first time I was cooking for my wife, Stephanie, way before she was my wife, I actually put three chickens on the rotisserie and I closed the grill, which is really a bad idea. But I just wasn't thinking very straight that day. And I looked outside and I saw, like, smoke and flames. 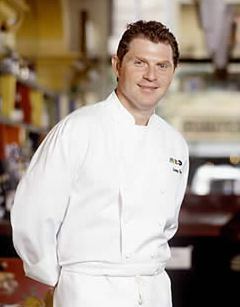 'The Food Network' was just starting in New York, and I was getting lots of attention from Mesa Grill. They had no money, so if you couldn't get there by subway, you couldn't be on. It wasn't like TV was something I really wanted to do - but I knew it would be great publicity for my restaurants. There are so many great things about this business. Almost everybody is on the same team. It is all for one-friendly competitiveness. No one is out to hurt anyone. I think cookies are sort of the unsung sweet, you know? They're incredibly popular. But everybody thinks of cakes and pies and fancier desserts before they think cookies. A plate of cookies is a great way to end dinner and really nice to share at the holidays. I don't have a long family history of good cooks in my family. Don't underestimate the importance of having enough room to work. Grilling is much more relaxing when you are not trying to juggle a whole collection of plates and bowls as you do it. If your grill doesn't have enough workspace - and they almost never do - set up a table right next to your grill. 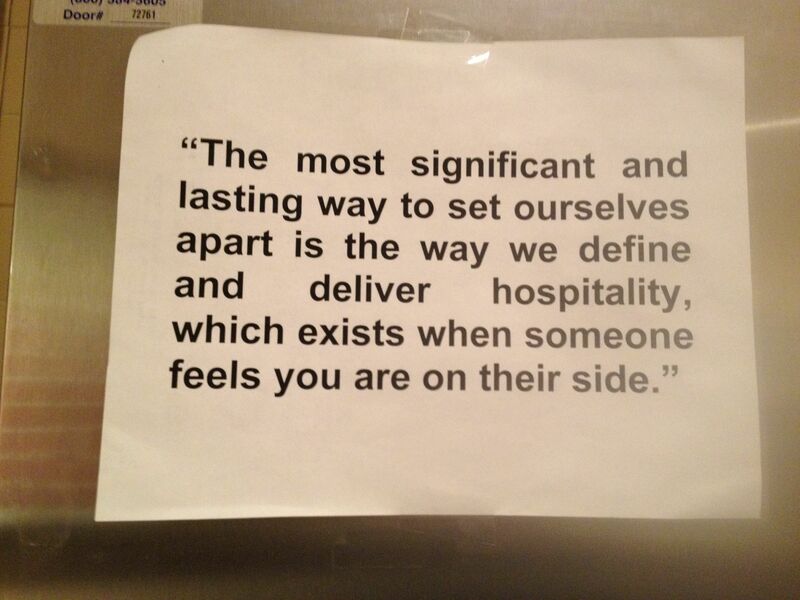 I was hired as a sous-chef at a restaurant on the Upper East Side. The chef liked to drink - some mornings we would find him sleeping. Two weeks after its opening, I became the chef. I was 20 years old, and way over my head. I had to hire the cooks and do the menus. An instant-read thermometer is your best bet for making sure that meat and fish are cooked to the proper temperature. Charcoal or gas. Both give excellent results, so choose the one that best suits your style of cooking. I can't be on the cheeseburger diet all the time. I want to go to college and go back to Georgetown. It's a really cool place.